Imagine a nuclear submarine (possibly out of control) obstinately cutting through the Atlantic Ocean: the sound of pressurized air being pumped into the ballast tanks, the submersion alarm echoing from bow to stern, the heartbeats of its crew accelerated by the imminence of an uncertain destiny. This is the context suggested by the electronic creations of Reverb. Recently captured by our sonar, his deeply submersible Dub Techno was featured in such renowned label as Resopal Schallware. 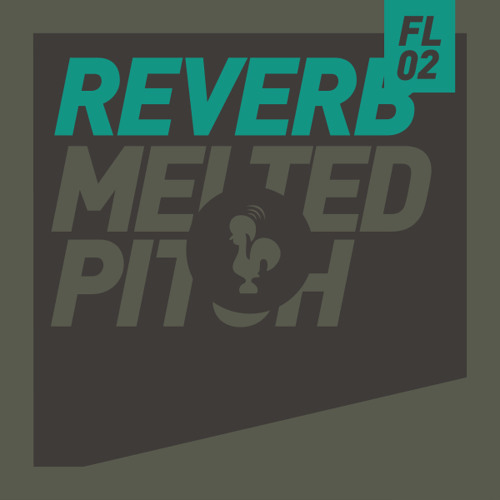 "Melted Pitch" EP is thus an elegant and mature showcase of the differential pressure that composes Reverb's style: if one concentrates, one can even distinguish the sound of the propellers, feel its hydrodynamic dragging, or imagine with grounded reverence the nuclear missiles charged and ready to launch. Despite of the anechoic coating used to make this kind of vessel more silent, the three tracks that compose the EP — "Emphasis", "Imbalance" and "Melted Pitch" — all sound loud and clear. Robust, fluid and exquisitely obscure, they're followed closely by four remixes that can also submerge us in the most bottomless of depths: three of the remixes are signed by Naus, who's debuting in Freima Labs (simultaneously releasing the free EP "Doravante") and a fourth by Umbra, a duet constituted by Lukkas and Ludovic, one of the mentors of the Con+ainer Music label.